Traditional planning is too hard and too slow for today's agile businesses. For active planning, you need a solution that's easy, powerful, and fast. Adaptive Insights for Finance is cloud-based corporate performance management (also known as enterprise performance management or EPM software) that provides everything you need to enable an active financial planning process. Easy to use and accessible from anywhere, our CPM finance software empowers you and your team to better manage your business. Static planning with manual spreadsheets and processes, or legacy on-premises solutions, doesn't cut it anymore. That outdated approach creates risk and eats up lots of productive time. 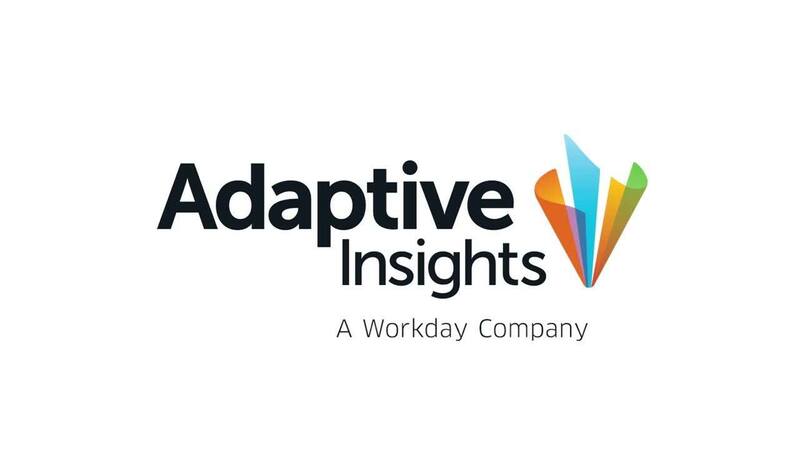 Adaptive Insights for Finance has helped thousands of organizations worldwide use active planning to transform their balance sheet and cash flow plans, revenue forecasts, headcount analyses, budgets, and expense plans. Adaptive Insights enables an active planning process so that your planning is collaborative, comprehensive, and continuous–and gives you the speed to plan continuously using data from all corners of your business. Cut your planning cycle times by 70%. Trust your budgeting, planning, modeling, and forecasting process to drive results. Reduce risk with always-fresh data, version-controlled plans, and driver-based models. Save time planning with workflows that keep everyone on task and working collaboratively. Engage your finance business partners with easy-to-use EPM software on the web or our Excel-based interface. Give your users a self-service planning tool they'll actually use. Spend less time compiling numbers and spend more time advising your business partners on the insights gained from self-service, interactive dashboards. Powerful, built-in financial intelligence and analytics help you understand your business better: instantly visualize variances in a waterfall chart, compare periods, add multiple dimensions to your charts, drill down into source transactional data to get context, and take action by re-planning and forecasting. It's all connected to the same data sources, so data is always accurate and up to date. Built with powerful, in-memory technology the Adaptive Insights for Finance–Enterprise solution is capable of handling large, multidimensional and custom models scaling to literally millions of trillions (1018) of cells. With Adaptive Insights you don't have to compromise between power, easy deployment, or ease of use. Our Enterprise solution includes built-in financial intelligence for rapid model-building with the agility Adaptive Insights is known for. Adaptive Insights for Finance gives you real-time visibility and instant collaboration across your organization with enterprise-grade security, scalability, and flexibility in the cloud. We do all of this with a platform that is business managed, IT friendly, and has a lower total cost of ownership of other legacy cloud and on-premises solutions. Adaptive Insights for Finance CPM software is purpose-built on a powerful cloud computing platform with a modern in-memory calculation engine. That means our highly scalable, secure architecture and infrastructure deliver consistent performance no matter how many users or locations you have or the number and complexity of your models. We designed our software to be IT-friendly to minimize support costs, with applications that you and your team can manage. Users can collaborate from anywhere-by web, mobile, and our Microsoft Excel Interface for Planning. Our integration framework makes it easy for you to connect Adaptive Insights with common ERP, CRM, or HCM platforms such as Salesforce, Oracle + NetSuite, Sage Intacct, and MS Dynamics as well as any custom data sources you may have in SQL, Oracle, Excel, or other systems. Build the financial reports you need just by dragging and dropping in a browser with a pivot table-style experience. Slice and dice the data however you want. Or use board and external reporting to combine our cloud-based CPM software with Microsoft Office and deliver beautifully updated and accurate reports, presentations, and board books in minutes, not hours (or days). Spend less time building the same reports repeatedly and spend more time understanding and driving your business. Automate more, reduce risk, and close faster with powerful, built-in accounting intelligence. Adaptive Insights' consolidation feature empowers accounting by simplifying journal entry management, automating reclassifications, and speeding intercompany eliminations and financial reports. Cut time and waste by validating data automatically and improving collaboration in your financial close process. Apply constant currency reporting with just a few clicks to see a more accurate picture of business performance over time, without the effects of fluctuating exchange. And since Adaptive Insights shares a common data platform, you can move from financial close to budgeting simply with one click. The only unified planning, reporting, and analytics suite of EPM software built for the cloud. We’re using Adaptive Insights to do new types of reporting and analysis, and identify trends. It helps us continually understand business performance, share insights with the global team, and confidently decide what to do next. Have a specific question about our CPM software or an FP&A challenge?